When I was a kid, I liked being the center of attention and the star on the stage. As I approach middle age, I still enjoy my star turns, but I have found that I greatly enjoy seeing others learn, grow, achieve and thrive. 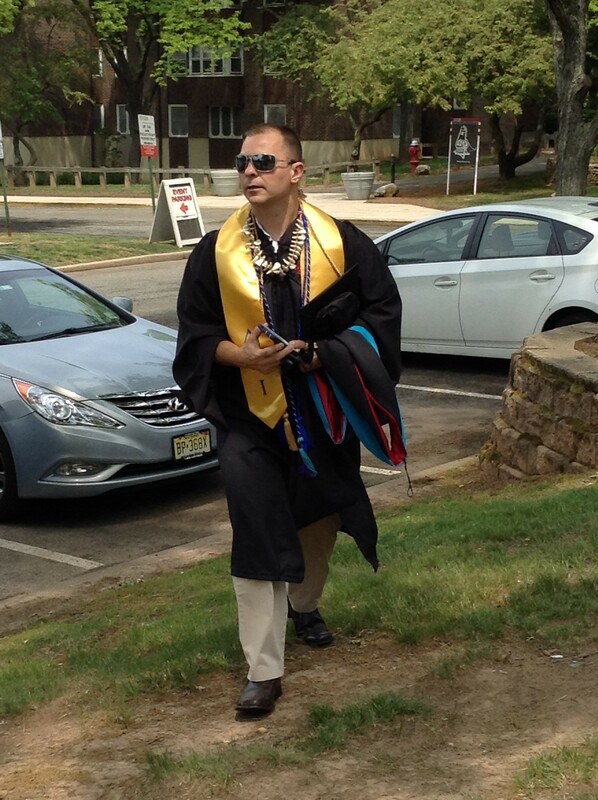 On May 18th, I watched a pair of young men graduate from Rutgers Newark. 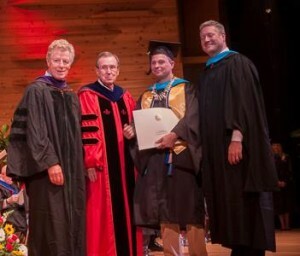 I was at least, if not more, proud of them completing their degrees as I was of my own graduation from the school of public policy a few days earlier. My mother taught English at Elizabeth High School from 1987 thru 1999. She would drive an hour each way to work. She loved teaching there and would tell me about her students. She brought me to the school several times during those years. As a teenager, I remember thinking it was very large, a bit run down and full of people that I almost never saw in Hunterdon County. At 5200+ kids, it was the largest high school in America. Forty-six (46!) languages are spoken by students there. It serves a poor, high-minority and largely immigrant population. In the fall of 2006, I began working there as an English teacher (after I finished my MSW in the spring of 2006, there were only two districts that I was interested to teach in – Elizabeth and New Brunswick). That fall, I had two freshmen classes and one junior class. I taught the freshmen classes for 100 minutes each day. I began each class by playing music for them (Dylan, the Beatles, Beethoven, Mozart, Louis Armstrong, Public Enemy) and having them write in their journals. I taught them poetry and had each class read about 10 books (I gave constant quizzes to ensure that they were reading). I also taught them about history (I’m a certified high school social studies teacher too). During that fall, I told my students that Scott Joplin died of syphilis. They asked me what that was. I was incredulous and inquired about their STI education. All three classes told me they had not received any – so, I spent a day on STI’s (and then included questions on them in a quiz). I also told my students about how I got into trouble as a kid, joined the Army, went to college, traveled the world, taught in Japan and how my friend died from addiction. I told them about my love of hiking and baseball. They teased me when the Vikings lost and would introduce me to new music. Every day was different and almost all of them were extremely rewarding. 2006-07 Freshmen AM English Class in Dwyer 212. Marvin and Waldys are 4th and 3rd from the right. Marvin Pineda and Waldys Batista were two students in my freshmen morning class. They showed up early and stayed late. They did all of the assigned work, loads of extra credit and earned straight A+’s throughout the entire year. I taught them (and a few others) how to play croquet after school and on a few Saturdays (they really enjoyed sending me). Waldys would talk to me about his little brother, ask questions about the Yankees and generally served as an ideal role model for other students. He was perpetually calm and laughed at the silliness and zaniness that life threw at him. Marvin was equally bright but a bit more hot headed – he would get frustrated when he his peers weren’t as serious and he didn’t relish when I would correct him on attitude issues or on behaviors that he exhibited in other classes. Marvin was an absolute sponge – he wrote down everything I put down on the chalkboard and many of the things I said. He would spend his lunch period in my room – sometimes he did school work (if I was busy) or he would pepper me with questions about music, sports, English, history or my life. They were the kind of students a teacher dreams about having one time in their career, and I had two of them my very first year of teaching. Originally, I had only planned on teaching at Elizabeth for one year. I worked as a drug counselor a few nights a week at Hunterdon Drug Awareness after school, but I knew I had to eventually find a full time counseling job in order to get my advanced counseling license (LCSW). Those plans changed when I found out that I would get to teach my two freshmen classes again as sophomores (again, for 100 minutes every day). 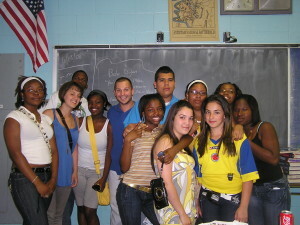 I had the same 50+ students for a 2nd year, and that 2007-08 year was even more enjoyable than my first year. Waldys and Marvin continued to excel in my classroom, knock off A+’s and grow as writers and human beings. I hung my graduation gown from Rutgers in the front of the room and talked to all of my students about the importance of higher education. After his sophomore year, Waldys transferred to the Upper Academy of Elizabeth High School (basically the honors building) in order to better prepare for college. Marvin decided to stay at Dwyer House for a 3rd year (which would be my final one at EHS) and he took Journalism with me as an elective. Marvin told me about his family – how both of his parents worked two jobs and also served as the superintendents of the building they lived in. It was a grueling schedule that they did (and continue to do) for years in order to give their four children a shot at the American dream. When people ask me how I can work so many jobs or such long hours, I tell them that my schedule is easy compared to the parents of some of my former students (and I think of specifically of Marvin’s parents when I say it). 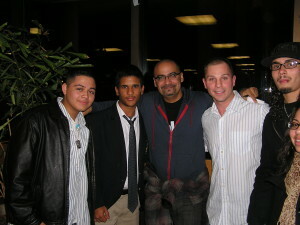 Marvin, Waldys, Junot Diaz, myself and Jeremy Alba in the winter of 2008. In the winter of 2008, Junot Diaz visited Rutgers. I had fallen in love with his writing after he won the Pulitzer for The Brief Wondrous Life of Oscar Wao. I taught all of my students about him and had them read a few short stories from Drown. Waldys, Marvin and a few other students met me at Rutgers Newark the night Mr. Diaz spoke. We hung around afterwards and got to meet with him for about a half hour and took a number of photos. He was extremely gracious and my students were star struck. I was thrilled that they were so excited to meet a writer. On the MET steps in June, 2009. In the spring of 2009, I accepted a job at Rutgers as the new Recovery Counselor. They agreed to hire me part-time at first in order for me to finish the school year at Elizabeth (I will always be grateful to them for that). My last day at Elizabeth was in late June. I cried when I drove away from the school. 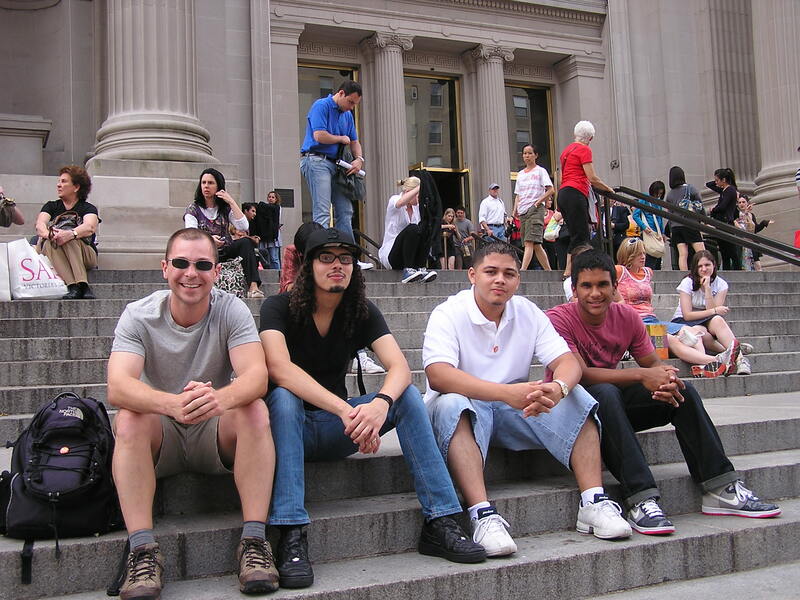 The next day, I took Marvin, Waldys and Jeremy Alba to NYC to see the Public Library, Grand Central Station, Strawberry Fields and the Natural Museum of History. It was teaching, learning, mentoring and guiding in action. We laughed and joked and I answered the questions that I could. It was a wonderful day. 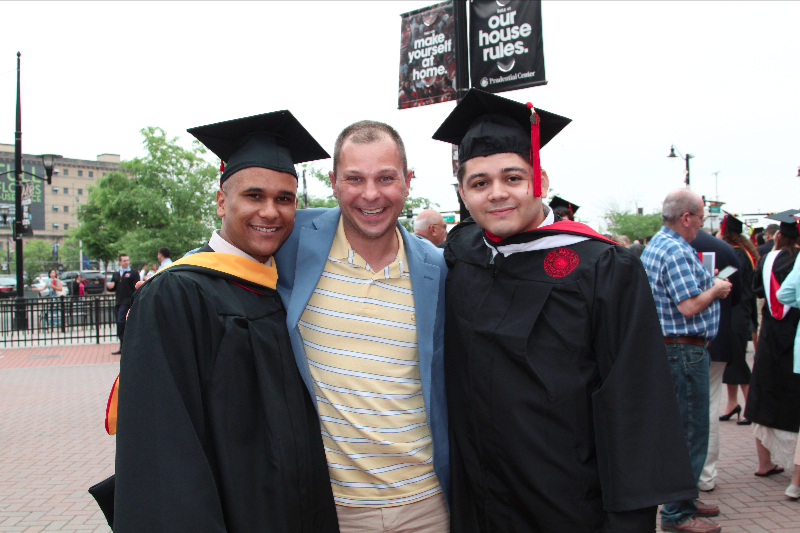 At Rutgers, I organized and attended about 150+ activities a year with students and alumni in recovery. Marvin and Waldys came along to a number of those activities, including hikes, plays, sporting events, speaking engagements and meals. 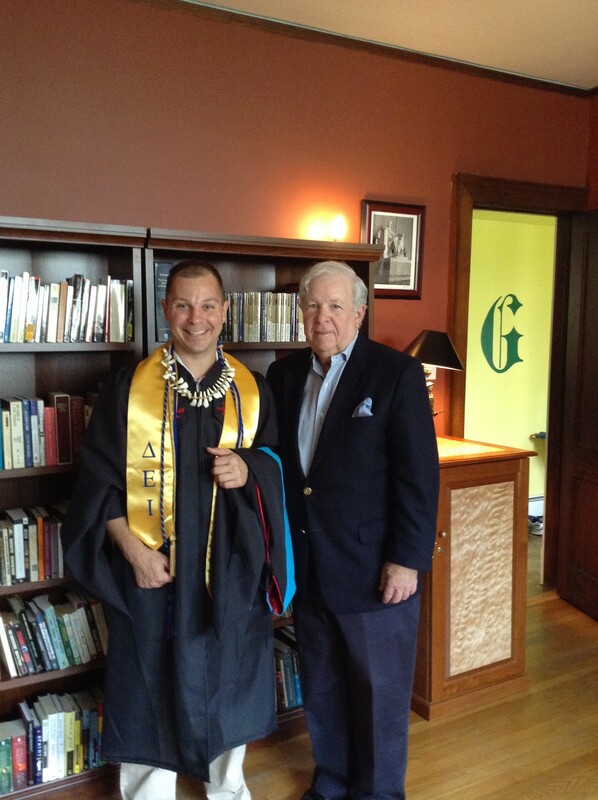 Marvin transferred to the honors building for his senior year, and both he and Waldys did very well there. 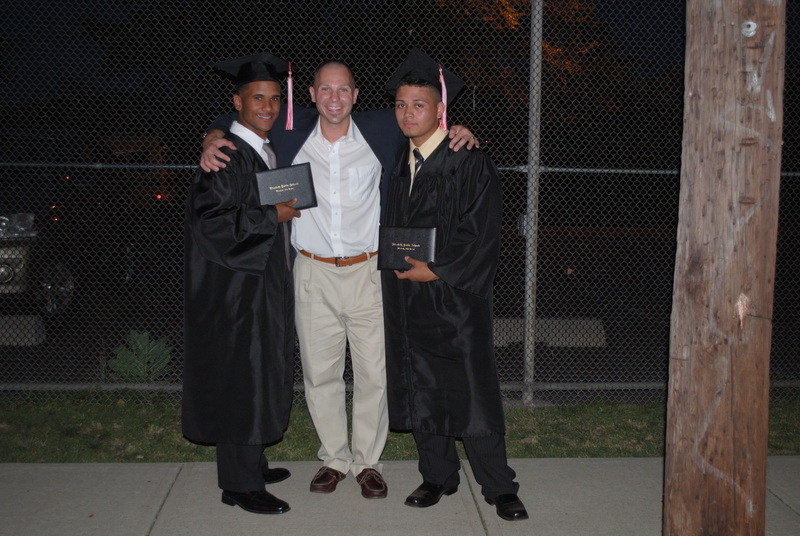 In June of 2010, I had the pleasure of attending their (and all of my other students’) high school graduation. 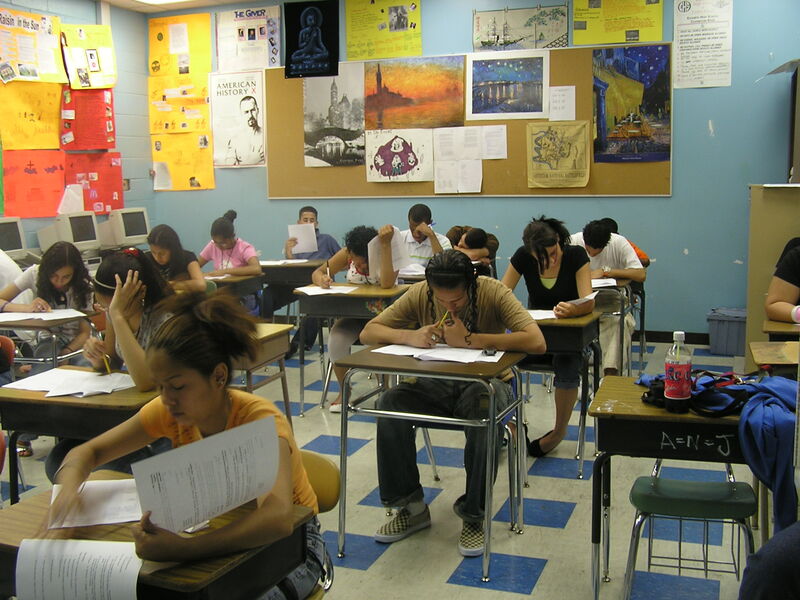 A 2009 New York Times article reported that 53% of students in the largest 50 cities in America graduate high school in 4 years while that number jumps to 71% in the suburbs. My students not only graduated from high school, but they had done so against considerable odds. My job at Rutgers required me to work 3 days in New Brunswick and 2 in Newark. Marvin and Waldys delighted me by enrolling at Rutgers Newark in the fall of 2010. I saw them several times a month and continued to involve them in activities with my other students. We still talked about the things we always talked about, but we also spoke more about girls, their friends’ substance use, their families, money and jobs. Both took a little while to adjust to the rigors of college coursework, but eventually they started doing well at Rutgers. There were hiccups: Marvin’s car was stolen, Waldys’ parents divorced, Marvin almost got married (ugh…that was brutal)…the list goes on. We spent time together and talked about these problems, and one way or another, things worked out. Sometimes they were embarrassed to tell me something, so they would wait a little bit or the other one would tell me what was going on. I introduced them to my friends and family, and many of them knew Marvin and Waldys by name. A few of my friends were particularly helpful with them, and for that I am also grateful. On May 18, 2015, 9 years after I met them, I had the unbridled pleasure, pride and joy in watching Waldys Batista and Marvin Pineda graduate from college. Waldys graduated with a BS in Criminal Justice and Marvin with a BA in film. Waldys has been applying for jobs as a police officer both in and out of NJ. He’s a dream candidate – he’s smart, hardworking, even tempered, humble, bi-lingual and cares about people. Marvin has been working and interning in film and will continue to do so (all of the videos on my site were shot by him). His goal is do to well enough making educational documentaries so that he can help build schools in poor countries. Sigh. These kids…these young men. I am so proud of them. Go mentor someone. It will do as much for you as it does for them. 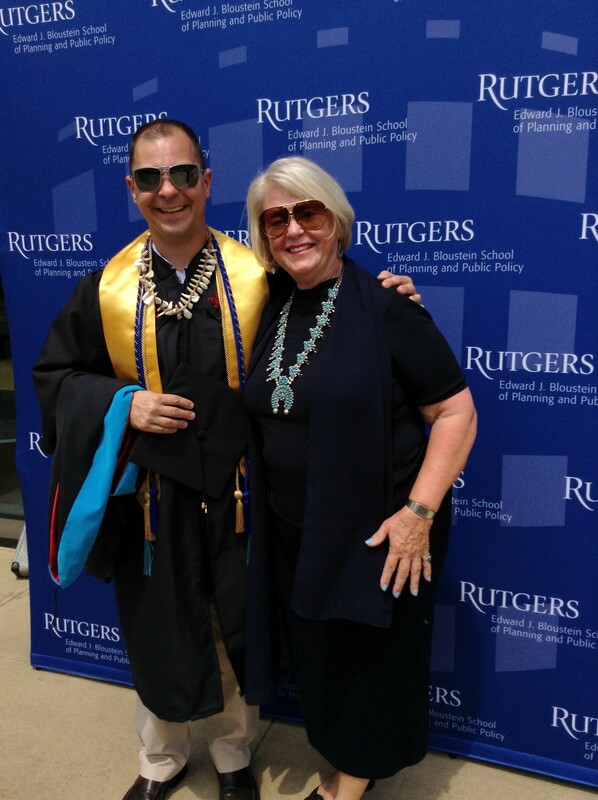 Yesterday, I graduated from the Edward J. Bloustein* School at Rutgers with a Masters in Public Affairs and Politics (it’s an advanced one-year public policy degree). 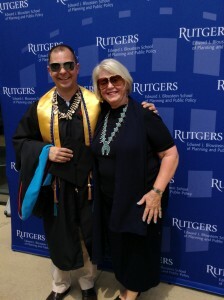 It is my third degree from Rutgers (I earned my BA in history and English in 2001 and my MSW in 2006). Each class was enormously time consuming and it took me four years to complete it. Now that the degree is finished, I am going to get back to writing for this site more regularly. But first, I will elucidate the process which led me to pursue this degree. In late 2003, I returned to America after teaching in Tokyo for a year. I took a job at Integrity House (a long term substance abuse treatment facility in both Secaucus and Newark) as a front line counselor. I had been there less than a month when I made the decision to pursue a MSW full-time while working full-time. When I was at Integrity, it was impossible to ignore the problems that my clients faced in addition to addiction: inadequate education, a lack of job skills, poor health care, a bloated criminal justice system that regurgitated prisoners, stressed out families, and a vicious cycle of poverty. After stabilizing my clients in recovery, we would focus on education and job skills. There were very few resources, and many of our clients just returned to the same blighted street corners with no hope of anything but a minimum wage, 25-hour a week job. Spring 2007. This was one of two Freshmen classes that I taught. They had quizzes every week and journal writing every day. After graduating with my MSW in 2006, I took a job as an English teacher at Elizabeth High School,** which was the largest HS in America at the time (5500+ kids). My students were 65% Hispanic, 15% black, 15% Haitian and 5% other races. Many of them were the children of undocumented workers (who often worked 2+ jobs in order to scratch out an existence). The quality of the building, books, desks, supplies and instruction were all deficient. 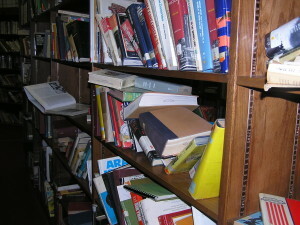 In 2007, due to a lack of space, the library of Dwyer House (where I taught) was cleared out in order to make more class room space. The books were thrown in dumpsters. I took photos of this, rescued books from the trash, and wrote an impassioned essay about it on Myspace (it was 2007). Much like my time at Integrity House and HDAP, I poured myself into the work, bonded with those that I served and generally had a great time every single day. But the problems that my students and their families faced would not be solved by a high score on a vocabulary quiz or being able to articulate the political reasons behind the fighting in Julius Caesar. At the end of the 2009 school year, I was offered and turned down tenure. I had decided to take a job at Rutgers running the Recovery House and working at both the Newark and New Brunswick counseling centers. In the spring of 2009, there was one student in the Recovery House who was in Recovery House for opiates. By the fall, that number had jumped to 6 (25%). In 2011, about half of the students were in recovery from opiates. I was also seeing more and more students come into the counseling centers that had problems with prescription drugs. It was even more pronounced than what I had seen a few years earlier at HDAP. I was also exposed to the devastating relationship between alcohol intoxication and sexual assaults (I’ve written about how males weaponize alcohol to incapacitate their prey). I collected data on what we accomplished and wrote about how a community could foster recovery and inspire students to academic excellence. In 2010, I was asked to be a Trustee of the New Day Recovery Charter High School in Newark. While there were over 30 recovery high schools around the country, neither NJ nor NYC had one. From 2010 to 2012, I would leave work at Rutgers Newark at 6 pm every other Monday and head over to the New Hope Baptist Church for school board meetings that would sometimes last until 9 pm. We talked about educational policy, the recovery process, fundraising and how to get community support. We were all hardworking, excited and dedicated to this cause. Alas, we didn’t understand the politics of the Newark School System nor were we prepared for the lack of faith and support of both the Department of Education and whatever niche covers charter schools. We were denied the charter in 2011 and then again in June of 2012. At that point, we decided to disband. In the summer of 2011, my friend Eric Arauz recommended me for the Governor’s Council on Drug Abuse and Alcoholism (GCADA). I was mulling over issues on the school board and what I’d like to accomplish on the GCADA while flying on a plane to attend a close friend’s wedding in Sienna, Italy. I had also been reading a number of political profiles in the New Yorker (I catch up on that magazine when I travel) when I came across the story of a cabinet official who decided to get a policy degree when he was getting more involved in that kind of work. A light went off. By the time I returned to NJ ten days later, I had made an appointment to meet with Stuart Shapiro and was prepared to do whatever I needed to do to start taking classes at Bloustein that fall. During my interview, I told Dr. Shapiro that I wanted to hone my analytical skills and knowledge base in order to be more effective in the work that I was already doing. In 2012, the GCADA created the NJ Heroin and Other Opiate Task Force. We held hearings, were on the radio, made the news and eventually (after a lot of listening, reading, data gathering and discussions, some backstabbing, and several political delays) released a report on March 17, 2014. Our report addressed mezzo and macro level issues, including, but not limited to: (1) creating a recovery high school in NJ; (2) creating more recovery college programs; (3) creating a warm-line so that people could get better and more timely access to opiate treatment information; (4) mandating the prescription drug monitoring program; (5) improving treatment in county jails; (6) revising the health curriculum in public schools in order to cover the dangers of prescription drugs; (7) better training of professionals that prescribe and dispense prescription drugs and (8) the enforcement of the Mental Health and Addiction Parity Act (2008) and the Affordable Care Act (2010), which mandates that treatment for addiction must be treated the same was as treatment for cancer or diabetes. My contributions to that report represent the changes in my thinking and approach that were influenced by the Bloustein school. I took courses on policy formation, research, economics, energy, the environment, education, health care, and the state and federal budget. The professors were learned, patient and encouraging. I have found that this course-work has pushed me towards the middle of a number of policy issues, and I try to avoid hyperbolic language and taking rigid positions. This is particularly true of issues that I think I can influence. Supporters of these issues might grow frustrated at my deliberate pace, but I have adopted the wisdom of Ben Franklin: “Half a loaf is better than no loaf.” A small policy victory today can leave the door open for bigger victories later. It is with great pride that I can now say that I am an alumnus of the Edward J. Bloustein School of Planning and Public Policy. 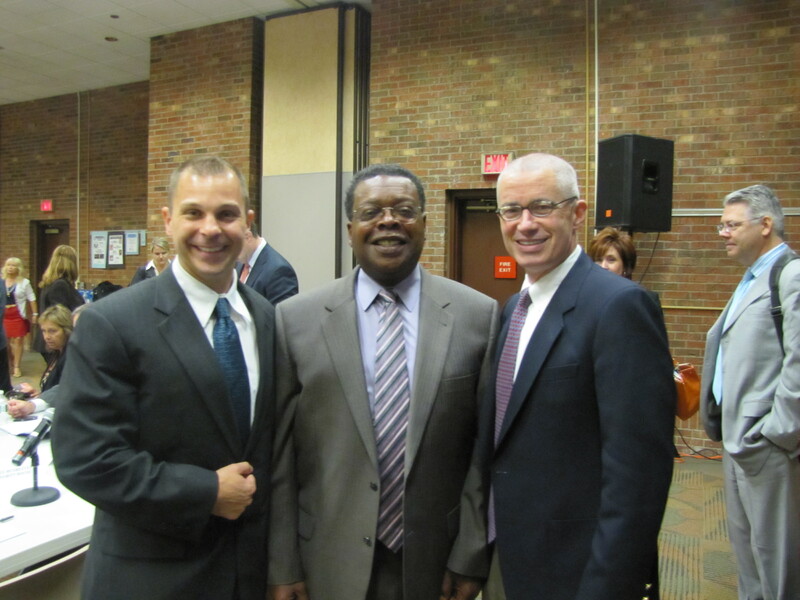 Governor Florio, Dean Hughes, myself and Assemblyman Benson. * The school is named for the 17th President of Rutgers. Edward J. Bloustein served from 1971 to 1989. He oversaw Rutgers College becoming co-ed, attracted top faculty, created the Employee Assistance Program, created one of the first Alcohol Policy Committees in higher education and generally raised the reputation of the university. All of the long-time and retired faculty that I know speak of him fondly. This was taken at the end of the 2007-08 school year. I had taught these kids for 2 years and now it was time for us to part. Many of us cried before, during and after the photo. ** I worked as a full-time teacher at Elizabeth and worked 2 to 4 nights a week as a substance abuse counselor at HDAP in Flemington. I did this for three years. I usually logged 700 miles a week.